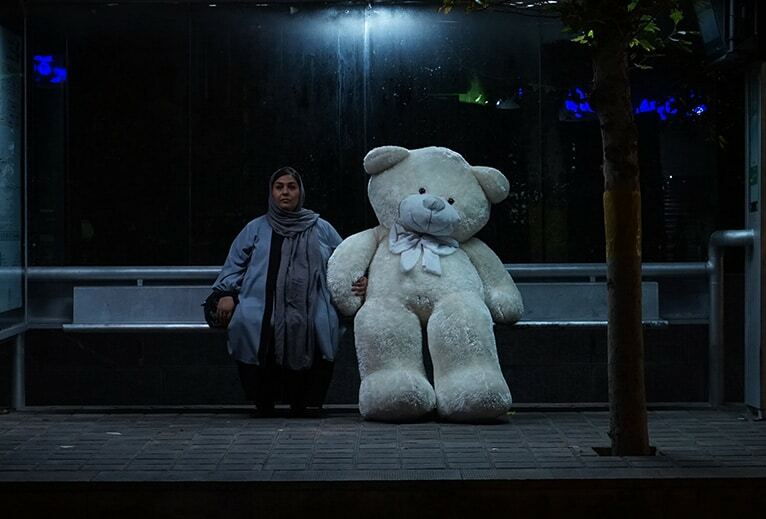 A triptych playing on the trope of unrequited love – a consistent subject of traditional Persian storytelling, promising young director Ali Jaberansari’s refreshing and original tale of the Iranian capital reflects on the fleeting nature of happiness, with note-perfect, deadpan humour that has echoes of Scandinavian cinema. Hessam, a retired bodybuilder who trains affluent older men, is cast in a film with the French actor Louis Garrel – who neither he, nor anyone around him has ever heard of, though the producer assures him is extremely famous. Meanwhile, Mina is a receptionist at an up-market beauty clinic; unhappy about her weight but addicted to ice cream, she catfishes men she encounters at work. And after his girlfriend breaks up with him, Vahid, a singer at funerals, is convinced by his friends to try singing at weddings instead. The film is followed by a Q&A with the Director.